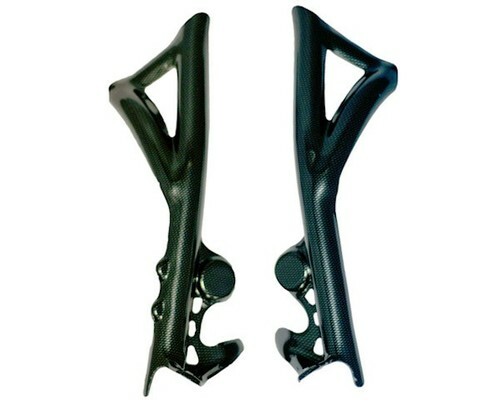 Gas Gas carbon-look ABS plastic frame protectors for 2011 Gas Gas Pro. Looks great and helps to protect the lower part of the frame. Easily fitted and comes with a shim for the kick-start to aid clearance.